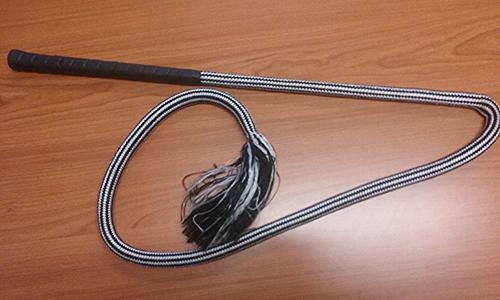 The European Style Training Stick offers a soft alternative to the "carrot stick" used by some trainers. This lightweight 60cm stick has a soft cushioned handle and 6cm circumference continued into a soft padded 115cm lash. 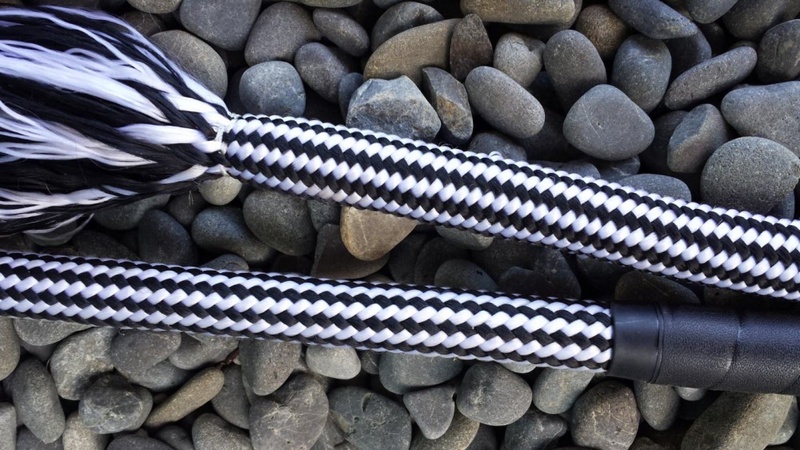 Softness is the key with this Horsemanship Stick - there is no leather popper, just the flare of the cotton/nylon mix core of the rope. 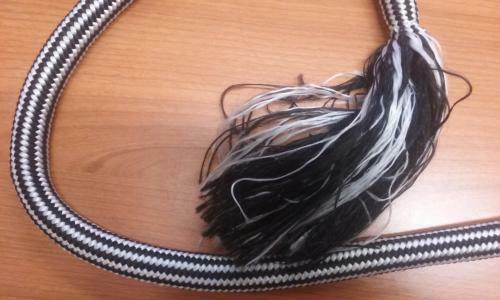 Only available in Black & White Stripe. Suitable for adults and children alike as it is lightweight and can be held whilst riding. The lash is soft to the touch.